The Yerevan Opera House will present Mozart’s brilliant opera The Magic Flute in Kuwait, in the first-ever staged performance of an opera in the country’s history. Led by Maestro Constantine Orbelian, General Manager and Artistic Director of the Armenian Opera, will perform The Magic Flute on September 27 and 28 on the stage of the Kuwait Opera House, additionally, there will be a Gala Concert on the 29th located within the compound of the Sheikh Jaber al-Ahmad Cultural Center, in Kuwait City. The Sheikh Jaber al-Ahmad complex is the largest cultural center and opera house in the Middle East. “On this occasion, I would like to convey my heartfelt gratitude to His Eminence Nawaf Alenezi, the Ambassador of the State of Kuwait in the Republic of Armenia, as well as the leadership of the Sheikh Jaber al-Ahmad Cultural Center, for their invaluable support in facilitating our upcoming performances in Kuwait,” Maestro Orbelian concluded. The presentation of The Magic Flute in Kuwait will come on the heels of a historic series of concerts which the Yerevan Opera House performed in Dubai earlier this month. They featured new and extraordinary productions of Bizet’s Carmen and Mozart’s The Magic Flute, with star-studded casts along with top soloists and the renowned chorus of the Yerevan Opera House. The significance of the performances in Dubai was also due to the fact that it coincided with the 20th anniversary of the establishment of diplomatic ties between the United Arab Emirates and the Republic of Armenia. 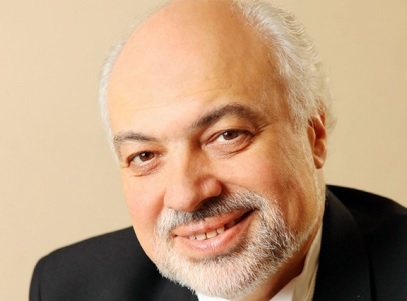 As in Dubai, the presentation of The Magic Flute in Kuwait will be conducted by Harutyun Arzumanyan. The performances will feature a superb opening night cast, including award-winning tenor Liparit Avetisyan, the glorious soprano Mary Movsisyan, the charismatic baritone Kim Sargisyan, the brilliant coloratura soprano Hasmik Torosyan, and lovey and expressive soprano Alina Pahlevanyan, along with an excellent supporting cast of the Yerevan Opera House orchestra and chorus. The production will likewise feature spectacular costumes, conceived by world-famous designer Alberto Spazzi, and a splendid video projection set design by internationally renowned opera director Paolo Micciche, who will also serve as the director of the Yerevan Opera House’s production of The Magic Flute. The Yerevan Opera House will present Mozart’s brilliant opera The Magic Flute in Kuwait, in the first-ever staged performance of an opera in the country’s history. Led by Maestro Constantine Orbelian, General Manager and Artistic Director of the Armenian Opera, will perform The Magic Flute on September 27 and 28 on the stage of the Kuwait Opera House, additionally, there will be a Gala Concert on the 29th located within the compound of the Sheikh Jaber al-Ahmad Cultural Center, in Kuwait City. The Sheikh Jaber al-Ahmad complex is the largest cultural center and opera house in the Middle East. “What an honor it is for us to present The Magic Flute at the Kuwait Opera House, and what a truly distinct privilege it is to be given the opportunity to perform in front of thousands of appreciative, sophisticated audiences in Kuwait,” said Constantine Orbelian, Artistic and General Director of the Yerevan Opera House. “Today, as we continue our international tour, I share the excitement of our wonderful soloists, musicians, chorus, and crew in sharing the magic of opera soon at the absolutely magnificent Kuwait Opera House.” “On this occasion, I would like to convey my heartfelt gratitude to His Eminence Nawaf Alenezi, the Ambassador of the State of Kuwait in the Republic of Armenia, as well as the leadership of the Sheikh Jaber al-Ahmad Cultural Center, for their invaluable support in facilitating our upcoming performances in Kuwait,” Maestro Orbelian concluded.